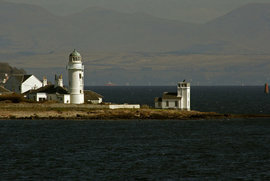 This is a light house, but not as most folk know it. 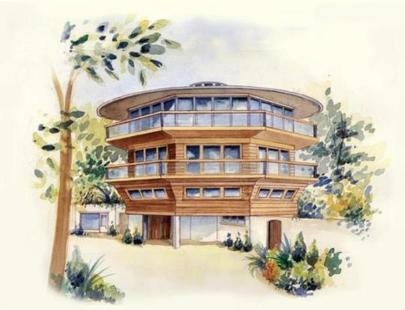 An architect designed, 5 bedroom hexagonal shaped detached home. 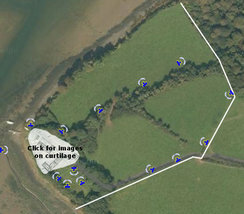 Located at one of the highest points at Sandbanks, which is linked by causeway to the mainland. 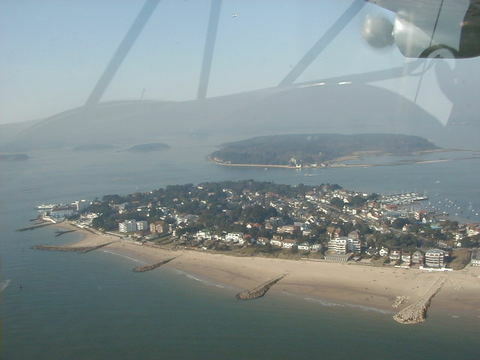 Above – Sandbanks in the foreground, Brownsea Island a little further towards the horizon. 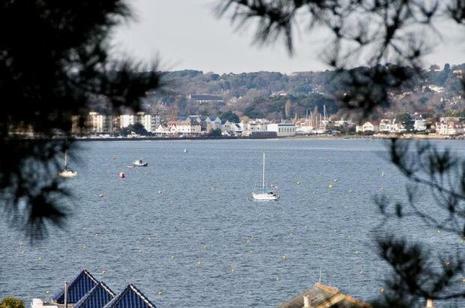 The harbour town of Poole is around 2 miles away and contains many amenities needed to support a wonderful life at such a marvellous location. The Light House has been designed to capture every aspect of the surroundings. 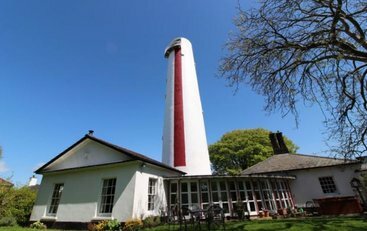 Vividly, all the main reception rooms and bedrooms have spectacular views, including across to neighbouring Brownsea Island, and also the Isle of Wight. It is understood that planning permission has been obtained for an additional storey, which would literally top the building as one of the premier private houses of light in the United Kingdom. All of this building sits in approximately one third of an acre of it’s own grounds. Our only comment would be a very minor suggestion. To enhance the architectural integrity and iconic look of this unusual building, the fencing attached at ground level be moved further down the drive so that this detached structure can sit exclusively away from any other building, and reflect the utilitarian life saving cousin it looks like, and this domestic iconic version can more purely reflect. Just a thought. 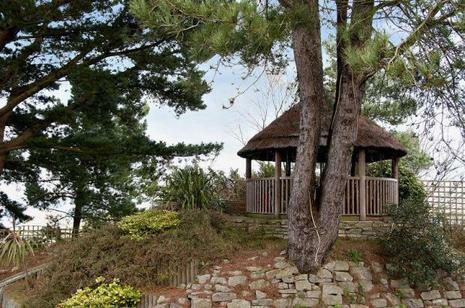 Location: The Light House Banks Road, Sandbanks, Poole, Dorset, BH13 7QQ. Contact Key Drummond Estate Agents Tel: 01202 700771. 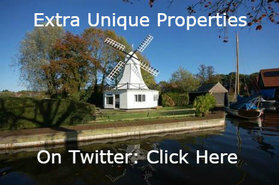 Then you will need to click on the website button for properties “over £1,500,000” and scroll down the page. Click on the Light House for some more narrative. Apologies, the estate agency website doesn’t facilitate direct links. Good luck. 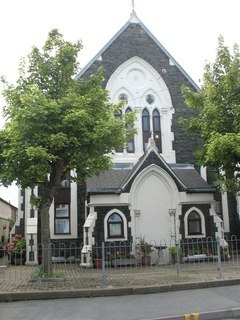 A modest flat within an island parish chapel that has been converted. 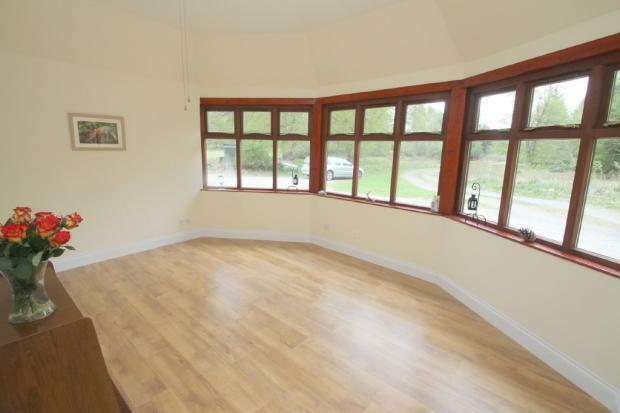 This one bedroom home is neatly fitted within the larger building. 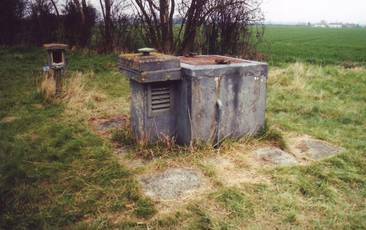 It has ready access to local facilities. 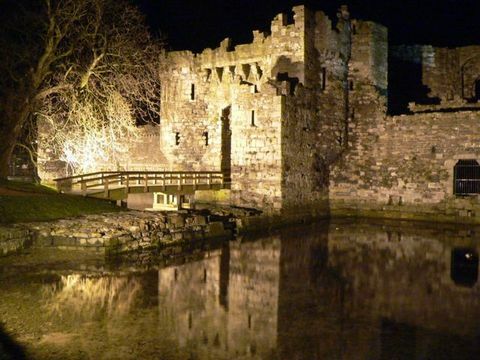 Indeed it is literally just around the corner from the world famous and beautiful Beaumaris Castle. Much beloved by folk such as the writer of this, who, when much younger was lucky enough to holiday on this grown-up version “proper castle” of what the toy fort version just received for Christmas was meant to look like. Sublime. Anyways, back to this former chapel. A second floor studio apartment in converted chapel development. 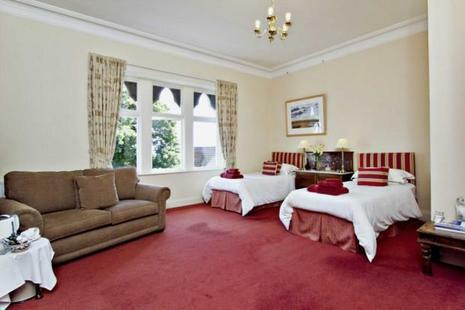 Accommodation advised as: Hall; Living Room with Kitchen Area; Bedroom; Shower Room. Individual private parking space. Communal Hallway: with staircase leading to second floor studio apartment 7. Directions: Approaching from Menai Bridge take a left turning in the centre of Beaumaris, Church Street, take first left into Margaret Street, property will be seen on left hand side. 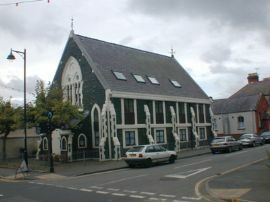 Location: Chapel Court, Flat 7, Church Street, Beaumaris, Isle of Anglesey, Gwynedd, LL58 8AB. Contact Joan Hopkin Agencies Tel: 01248 810847. This is a curious little building, formerly used as a forestry worker’s cottage. 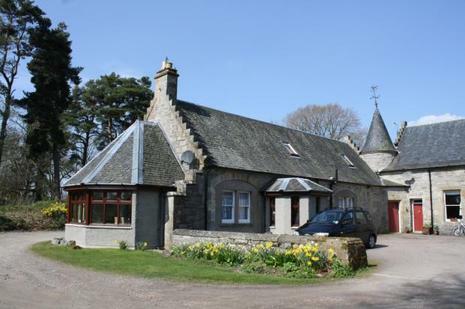 Known as Number One, Forestry Cottages, it is a traditional stone and slate property, making up one side of the courtyard that previously served as the stables to Moy Hall Estate, Tomatin. The converted house benefits from all the conveniences of modern day living and yet maintains and enjoys a country lifestyle. There is oil fired central heating and partial double glazing and retains arches from the original stable block entrances. 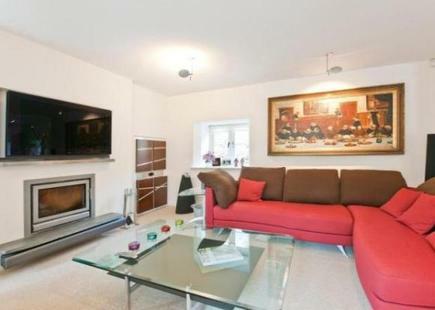 Well maintained to a high standard by the current owner, the property is in walk-in condition. Of possible usefulness to our unique property readers looking for a unusual and self-sustaining lifestyle is the layout of this forestry building: the accommodation currently maintained as two separate self-contained properties, one of which is used as holiday apartment. 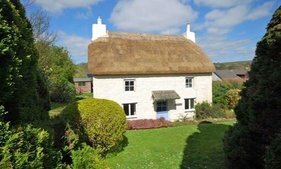 This means it may be possible to have an unusual 2 bed property for yourself, and adopt a less frenetic lifestyle supplemented by the financial fruits of an adjacent, income producing, 2 bedroom holiday cottage that you own next door. Agency Narrative: The accommodation comprises of an entrance hall with doors to all rooms on the ground floor – Hall; Lounge; Kitchen; Utility/Lobby; Dining Room; Two Bedrooms; Bathroom. Externally the property benefits from a small grassed area to the front of the dining room and a small enclosed area mainly laid to lawn to the front of the property complimented by parking within the courtyard. Additionally, residents benefit from the close proximity of Moy Estate with the many woodland walks and access to the Loch. 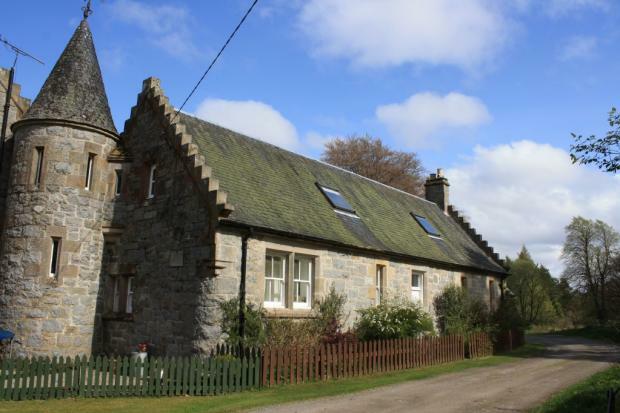 Location: 1 Forestry Cottages, Moy, Tomatin, Inverness, IV13 7YQ. Guide: £249,995 Fixed Price (generally means no need to “offer over”). Contact Macleod and MacCallum Solicitors Tel: 01463 239393. 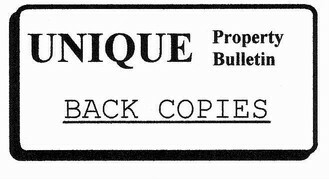 In all the years Unique Property Bulletin, this is the first Dairy we have had. 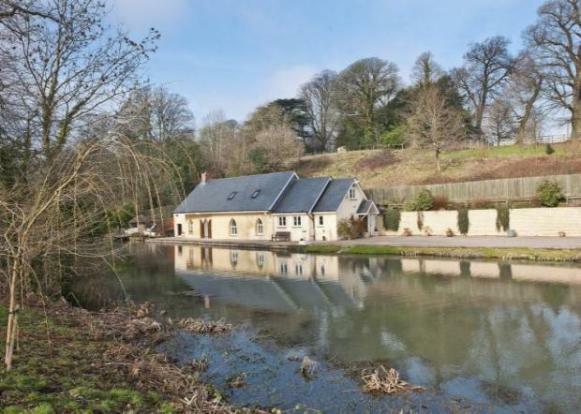 A nice conversion with exceptional waterviews. 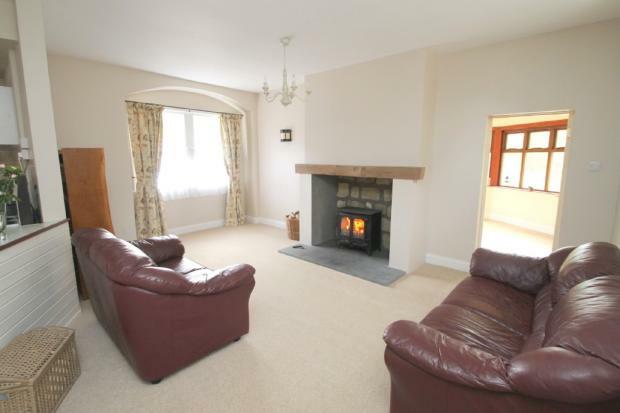 Located in the upmarket, quiet hamlet of Michaelston-le-Pit. This picturesque building is set in approximately 5 acres, split by a pleasing series of lakes that meanders alongside the house. Agency Description: The Dairy is an individual character home of considerable style and quality, imaginatively created by the present owners, and appointed to an exacting standard. It offers flexible open plan living with contemporary styling, yet with the benefit of a Grade II listed exterior within a semi-rural, waterside retreat. Approached by a long, gated driveway, there is considerable parking afforded to the front of the property with the driveway continuing on to a detached double garage which has electric doors and a store room above it. 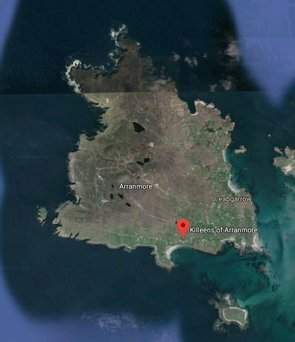 which has been considerately arranged to flow as three inter-connecting living spaces allowing a freedom of natural light and optimal views across the water. Including ingenious built-in storage, centrally wired hi-fi, and a modern log burning stove, the room exudes warmth and comfort. Doors lead out to the waterside terrace allowing the flexibility of indoor/outdoor living. The living kitchen is a modernist haven, having been designed with the enthusiastic home chef in mind, it includes every conceivable appliance within a sleek contemporary shell. A breakfast bar provides a social sharing space. On the first floor, there are two bedrooms, the principal of which features a dressing room and en-suite bathroom, whilst the second bedroom also has built-in furniture and uses the second bathroom. It is the second bedroom that the current owners use most as it enjoys the most delightful view across the water and up the valley. 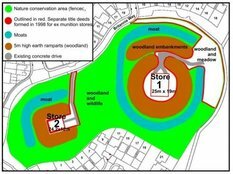 Location: The Dairy, Michaelston-le-Pit, Dinas, Powys, Vale of Glamorgan, CF64 4HE. 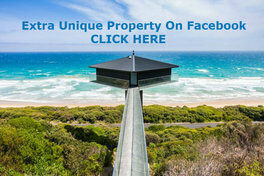 Contact Savills Agency Tel: 02920 368 930 – Mr Peter Reilly. This must have been a very busy house back in the day of matters spiritual. A nine bedroom building, this former Vicarage is set in elevated grounds overlooking the mouth of the River Tweed. 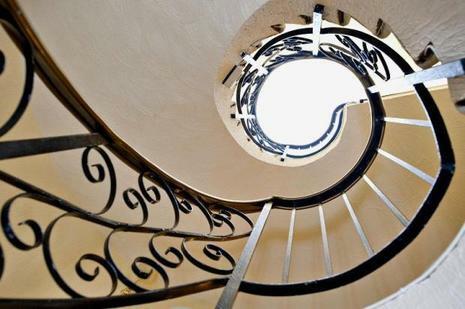 The Old Vicarage is a unique property and currently serves as an award winning guest house. 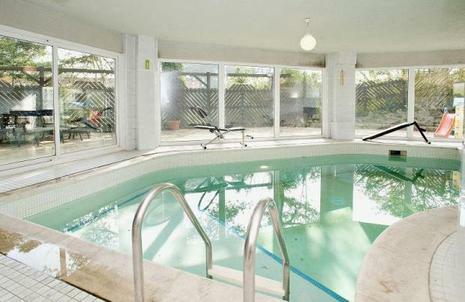 The property is arranged to provide seven letting rooms and a two bedroom owners accommodation. However, it would be straightforward to reinstate the property as a private home…. 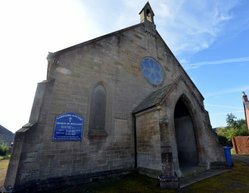 One of the most prominent buildings in the area, the property overlooks Tweedmouth Parish Church with views toward Berwick upon Tweed and the coast beyond. 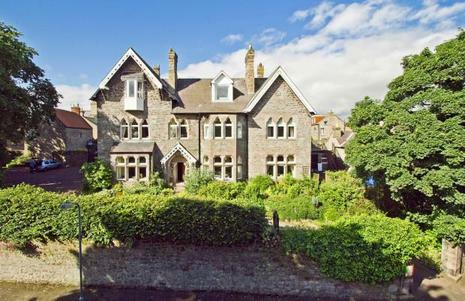 The Old Vicarage is a striking Gothic Victorian house with elegant proportions throughout. Commanding an elevated position above Church Road the property is entirely private and peaceful with a reassuring feeling of seclusion. The well presented accommodation has a bright and spacious feel with a good degree of natural light throughout. The high ceilings and large windows add to the feeling of space whilst each room retains a warm and homely feel. The ground floor accommodation is accessed via an attractive stone portico into a reception hallway off which the three key reception rooms are arranged. To the south east is the elegant drawing room with dual aspect windows to the south and east and a pretty window seat overlooking the garden. There are high ceilings which are common throughout the property and exposed timber floor boards with an attractive original cast iron open fireplace. 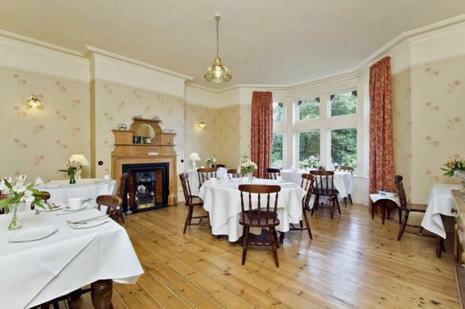 The dining room is of an equally impressive scale with bay window which overlooks the driveway. This forms the ideal space for both formal and informal dining on a large scale. Exposed hardwood flooring and an attractive open fireplace complete the room. 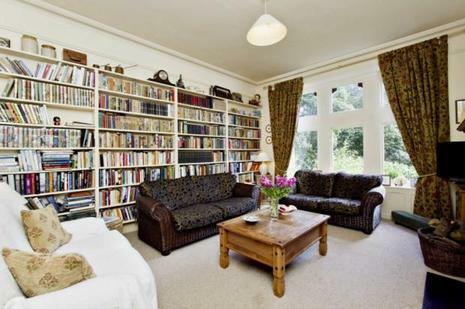 Adjacent to the dining room is a cosy sitting room with floor to ceiling book shelves along the northern wall. The room enjoys views across the eastern lawn and has an original Victorian fireplace with decorative tiled insert. Across the hallway is the kitchen and associated stores. There are a range of free standing painted base units with beech worktops and a central island with open shelving. An original cast iron range stove has been retained as a feature within this practically designed kitchen. A door leads out to the peaceful rear courtyard and there is access to the kitchen stores which comprise of a pantry, boiler room, W.C. and utility / wash room with access out to the garden. The bedroom accommodation is predominantly arranged over the upper floors however there is a double bedroom at ground floor level with en-suite bathroom. At first floor the bedroom accommodation is arranged off a central landing. 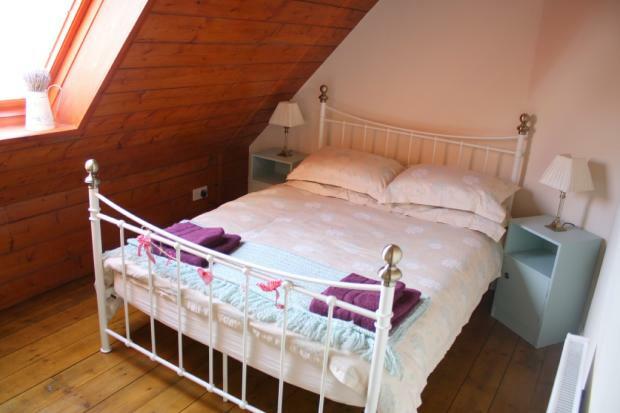 There are six bedrooms including five with well appointed en-suite shower rooms. 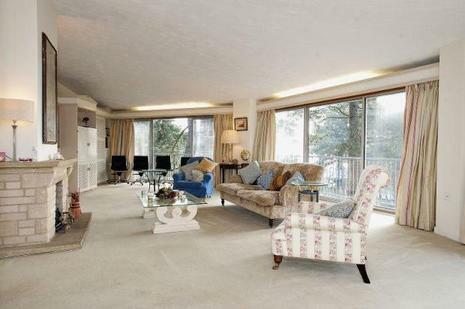 Each room has the elegant style and proportions you would expect of a property this age. The bedrooms on the eastern side of the property have excellent views across the Tweed estuary and bedroom 4 leads out to a private roof terrace. At the northern end of the landing is a convenient shower room, W.C. and linen store. The second floor accommodation is currently used as owners accommodation and provides two double bedrooms, one of which has an en suite bathroom with separate shower. Outside: The garden to the Old Vicarage is arranged on three sides with access leading from the driveway on to a gravelled parking area for a number of cars to the south of the property. Hedges and mature beds border the driveway and surround the boundary to ensure an excellent degree of privacy. There is a lawned area which offers the ideal space for al fresco dining during the summer months. Location: Church Road, Tweedmouth, Berwick-upon-Tweed, Northumberland, TD15 2AN. Contact Smiths Gore Agencies Tel: 01289 333030. This next property is a fabulous former coach house with 4 Reception Rooms; 4 Bedroom Suites; Leisure Facilities; Dining Terrace; Gardens, and lots of character. This coach house has undergone a creative transformation to produce an unusual home with a quality contemporary finish. Plus tranquil and easily managed Japanese style gardens. 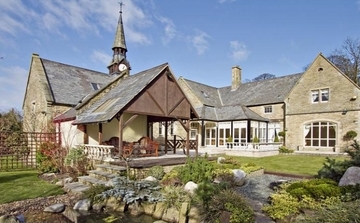 Cleveley Stables stand within a quiet and attractive area behind stone privacy walls with electronically controlled gated access opposite Allerton Park Golf Course to the south of Calderstones Park. Originally built in 1865 to a design by one of the Victorian era’s most celebrated architects, Sir George Gilbert Scott, responsible for other notable buildings including St Pancras Station in the same year, the Albert Memorial in Hyde Park and many other important ecclesiastical, educational and private residences. 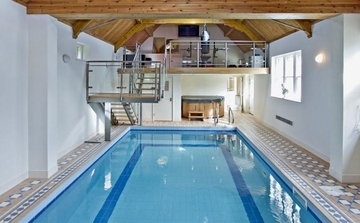 Today it is a fabulous contemporary home finished to a high standard with a leisure suite including a mezzanine gym, steam room, hot tub, and a 10m pool with, mezzanine pool terrace area. The clock tower and period features have been retained resulting in a home which is a wonderful fusion of the old and the new. The main reception hall is an impressive space with oak flooring, hidden cupboards and a traditional oak staircase leading to the first floor. Double doors open off to the principal reception rooms including a drawing room with a stone fireplace and living flame gas fire, a dual aspect and a wide arched window overlooks the rear gardens. The dining room doubles up as a family room if required and has oak floors, a dual aspect and triple sets of French doors opening to the private rear gardens. 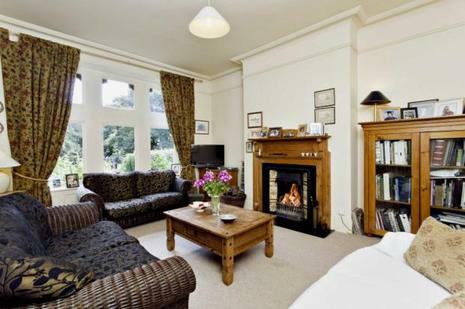 There is a third reception room which would double as a study or a snug and has a fireplace and oak wood block floors. On the first floor there is a landing with an oak balustrade and a great master suite including his and hers dressing rooms, a bedroom area with a window to the rear and a well appointed en-suite bathroom with Tile Vision, Travertine marble and a separate shower. 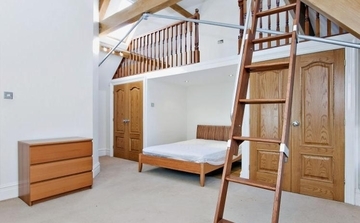 The second bedroom suite has a mezzanine area, 2 walk in closets and an en-suite shower room. The 3rd bedroom lies to the front and has French doors to a Juliet balcony and an en-suite shower room. The 4th bedroom has its own adjoining bathroom. The property has CCTV and a zoned alarm system and the gated cobbled driveway provides secure parking. Location: The Coach House, Allerton Road, Allerton, Liverpool, L18 9UU. Contact Savills Agencies Tel: 01625 417 450 – Jean Pilkington. Online Brochure & Lots of Lovely Photographs …. The property is conveniently situated close to the centre of Langholm within easy reach of Carlisle, located some 20 miles south along the A7. Hawick is also within easy reach situated some 23 miles north on the A7 and Dumfries is approximately 38 miles away travelling south along the A7 and A75. 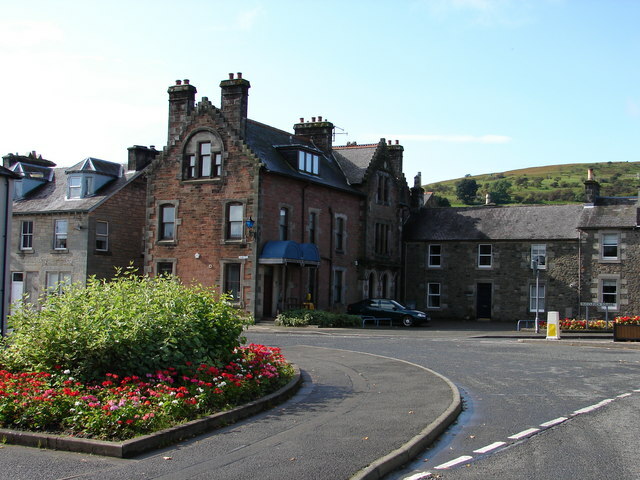 Description: The buildings comprises of the former Langholm Police Station and two residential flats. The property is Category B listed. A traditional three storey property under a pitched slate roof. The former police station occupies the ground and first floor. Two self contained flats occupy the top floor, with access for both flats from Henry Street. On the ground floor is a reception, disabled wc, main office, smaller office, cupboard, wc, detention room, medical inspection room, two cells with wc’s and a further wc. On the first floor is a bathroom with shower, wc, whb, mess room, kitchen, second bathroom with shower, wc and whb. 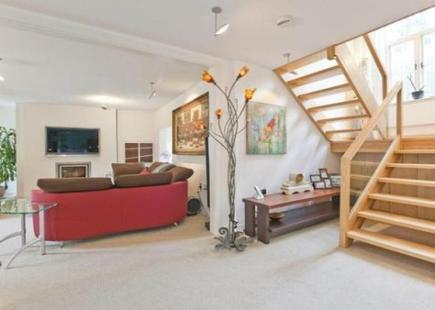 The fist flat comprises of kitchen, living room, bedroom with stairs leading to two further bedrooms and a bathroom. The second flat comprises of kitchen, living room, bathroom with stairs leading to a bedroom. Both flats benefit from gas central heating. Offers for police station and two flats inclusive sought at around £220,000 NOW REDUCED to around £175,000 . 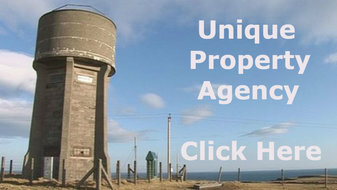 Please contact: Strategic Property Services, Marchmount House, Marchmount Avenue, Dumfries, DG1 1PY. Tel: 01387 273835. Originally featured 25 December 2011 ….